In a quite modest retreat from the Supreme Court’s full support for the free and massive flow of money into American politics, the Justices split five to four on Wednesday in allowing states to bar candidates for judgeships from personally asking for campaign donations. Although the majority left wide options for judicial candidates to obtain funds near election time, and even to thank the donors, the ruling drew deeply pained protests from four dissenters that the Court was seriously undercutting the First Amendment in the campaign realm. What clearly made the difference, in this break from a string of First Amendment rulings protecting big money in politics, was that this was about judicial elections and the majority was worried that asking directly for money by a would-be judge was a serious threat to judicial integrity. 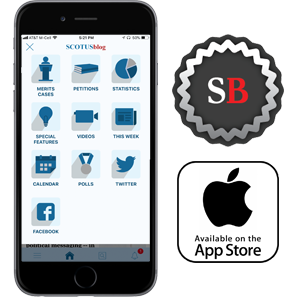 By assigning the main opinion to himself, as the nation’s highest-ranking judge, Chief Justice John G. Roberts, Jr., gave the ruling something of the stature of a national judicial policy declaration. At issue in the case of Williams-Yulee v. Florida Bar was a state ethical rule that no candidate for a state judicial office may personally ask anyone for a campaign contribution — whether the person contacted was a lawyer, a friend, or even a family member. That, the Chief Justice wrote, is sufficiently related to a state’s interest in impartial courts that it is permissible under the First Amendment. The opinion professed to take no position on the good or bad of choosing judges by popular elections, noting that the question “has sparked disagreement for more than 200 years.” But the outcome of the case was a reinforcement of the state’s limited power, when it does choose judicial elections, to try to dispel the notion that judges are just like other politicians with tin cups in hand. The decision made clear, through the support of four Justices who were part of the majority and four Justices who were in dissent, that any restriction on what candidates for elective office — including those seeking judgeships — may say in reaching out to voters must pass the most demanding constitutional test (“strict scrutiny”). Only Justice Ruth Bader Ginsburg would not go along with that standard, arguing that states should have more leeway in putting limits on the financing of judicial elections. The actual result in the case — upholding the Florida ban on personal solicitation — was supported by the Chief Justice and Justices Ginsburg, Stephen G. Breyer, Elena Kagan, and Sonia Sotomayor. 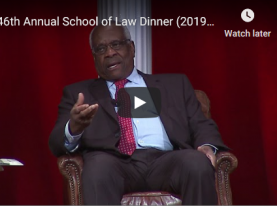 There were three dissenting opinions: by Justice Antonin Scalia, joined by Justice Clarence Thomas, by Justice Anthony M. Kennedy, and by Justice Samuel A. Alito, Jr.